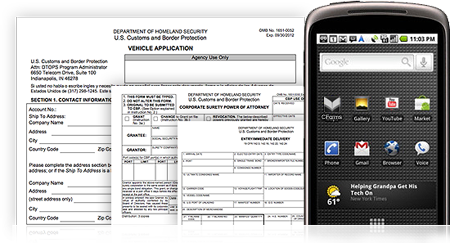 CustomsForms.org makes it simple to fill out U.S. Customs forms online. When you’re finished, you can simply download the completed form or let us clear your shipments through customs for you. They’re your forms, do what you want with them. After you’ve filled out and e-signed your customs forms on our site, you’ll have the option to download, print, email, fax, mail your forms anywhere in the world for free. Find the Customs Form You Need: Our search tools make it simple to find the U.S. Customs forms you need. Fill Out Your Customs Forms Online: Use our simple online tools to fill out your Customs documents.